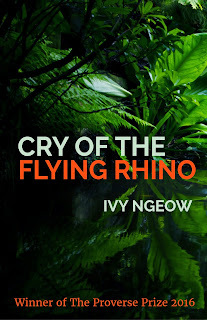 Borneo Expat Writer: Ivy Ngeow's Cry of the Flying Rhino, Winner of the The Proverse Prize 2016, arrived today! Ivy Ngeow's Cry of the Flying Rhino, Winner of the The Proverse Prize 2016, arrived today! Just received a nice present in the mail. 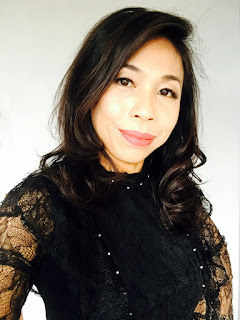 A thank you card from Ivy Ngeow for my advance com­mentary for her first novel Cry of the Flying Rhino, Winner of the The Proverse Prize 2016, a business card and a bookmark, both with the cover of her novels, Cry of the Flying Rhino on one side and on the other, Heart of Glass. Plus a copy of her novel Cry of the Flying Rhino! 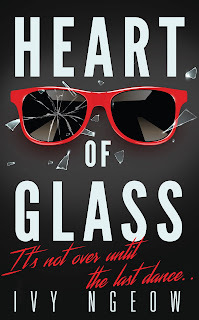 Earlier I had read the complete advance copy of the novel and had also interviewed her after she had interviewed me. Feeling the actual book in my hands, instead of just reading it on screen, is a huge difference. Books are meant to be held, the cover always in front when you open and close where you left off and then seeing the spine of the book on the shelf along with your other books. This is what writing is about. Your book in the hands of your readers. 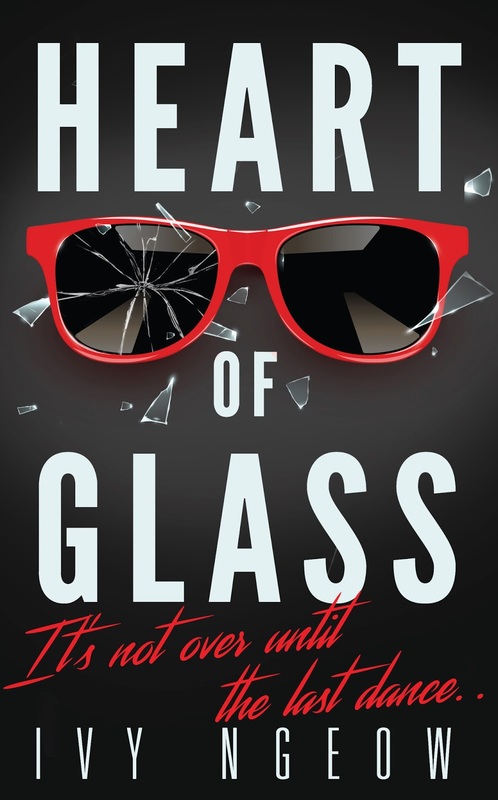 E-books are more cost-efficient, but once read, too often out of sight out of mind….Ivy Ngeow’s book will always be in sight, on my bookshelf. So a big thank you to Ivy and an even bigger congratulations! I’ve also included Ivy Ngeow’s six-minute acceptance speech for winning the 2016 Proverse Prize, where she did herself (and Malaysia) proud in Hong Kong. I even get a men­tion in the speech! *See also, Win-win to start your day and Jumpstartyour New Year.